Mothers' Union members thought that women found most fulfillment in being effective mothers. They were largely middle-class women who did not have to engage in paid work to support their families. 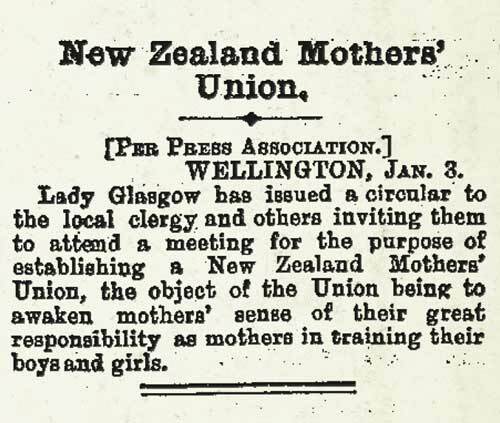 At the inaugural meeting of the Wellington branch of the Mothers' Union in 1893, women were invited to 'unite in prayer, and seek, by their own example, to lead their families in purity and holiness of life'. Groups like the Mothers’ Union supported state payments to widows so that they could continue to be full-time mothers.